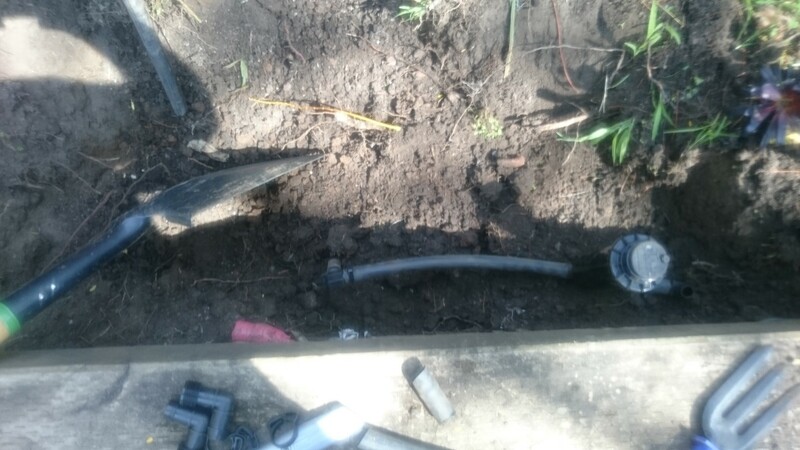 I took this opportunity to dig out the existing irrigation system I had installed years ago and replace it with something that works better and covers the whole vege patch with enough water. The sprinkler heads were replaced too as the previous pop up ones were crap. I replaced with with gear-driven pop up sprinklers from USA. So much better than the local or Chinese crap we have.